We strongly recommend booking your class in advance and showing up 15 minutes early, especially if this is your first ride with us. And really that’s the hardest part – showing up! We love our Happy Valley StarFam! Sign up for the StarCycle Happy Valley newsletter to recieve studio updates, information on events, and announcements. To see our full schedule and pricing options please visit our scheduling site on MindBodyOnline. If you don’t already have a MindBodyOnline account, click here in order to book a class — it’s free and easy. Feel free to call the studio to schedule your class or answer any of your questions. We can’t wait to ride with you! We proudly offer craft-based childcare with skilled caretakers. Parents can take that important time for themselves knowing their children are in good hands and having fun. Childcare is $5 per visit, 10 for $45 or unlimited for $85/month. StarCycle Happy Valley owners Heather & Kelly started as clients, turned instructors, then became owners. They fell in love with everything StarCycle: the vibe, the class, and most importantly the people. 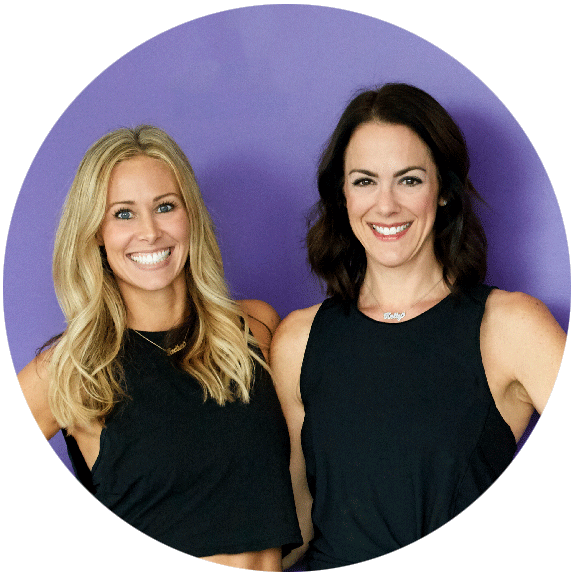 These ladies have a fierce love for health and wellness, their community and especially their families which led them to leave their corporate careers and bring StarCycle to a new community — hello Happy Valley! StarCycle Happy Valley is located on the corner of Sunnyside Road and 172nd Ave in the new Happy Valley Crossroads Center by Fred Meyer. Our studio is next door to the Umpqua Bank and has plenty of free parking. You can cancel up to 4 hours before class. Late cancellations or no-shows incur a $20 charge to accounts with an unlimited membership or the reduction of one class from a class package.